Visiting Walt Disney World soon? Do not miss this attraction! 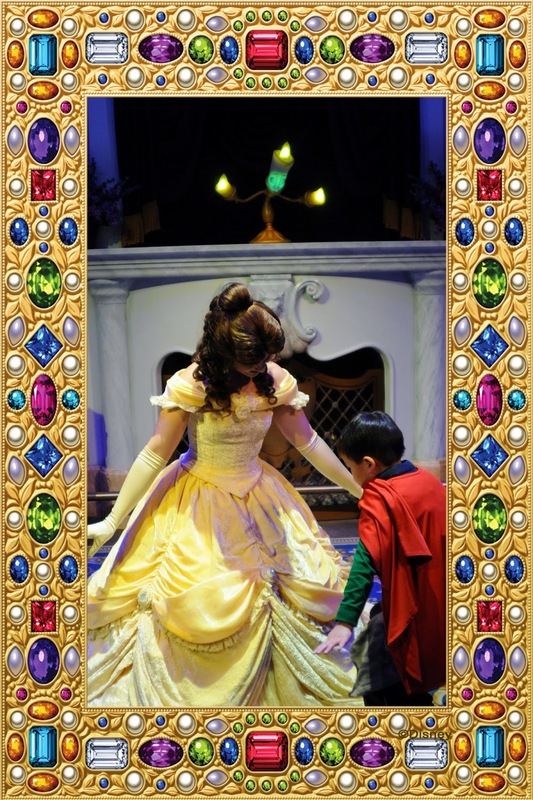 One of our favorite experiences in Fantasyland is Enchanted Tales with Belle. This experience flies under the radar and definitely should not! I consider this a top ten thing to do at Disney World especially if you have a young Beauty and the Beast fan in your group! Upon arrival to Maurice’s (Belle's dad) cottage you are treated to glimpses of Belle's childhood including all of the books she loved to collect. This is a nice way of moving guests through the long line into Maurice's workshop. A magic mirror then transports you into a wardrobe. While in the wardrobe, guests are picked to reenact a scene from the movie. This "play" takes place in the Beast's magnificent library and surprise...stars Belle! I do not want to spoil the experience by giving you all the details but you will be treated to terrific effects and animatronics during the play. My son was chosen to play the Beast in our session. It was fantastic. He really got into character and was smitten to be dancing with Belle around the room. f you are chosen to act in the play you get a photo pass card and the photos that are taken are amazing. Of course I purchased them all. I can't stress enough how this is the only assured attraction to meet Belle in the Magic Kingdom! Belle sometimes shows up at Cinderella's Royal Table but she is not a guaranteed guest. 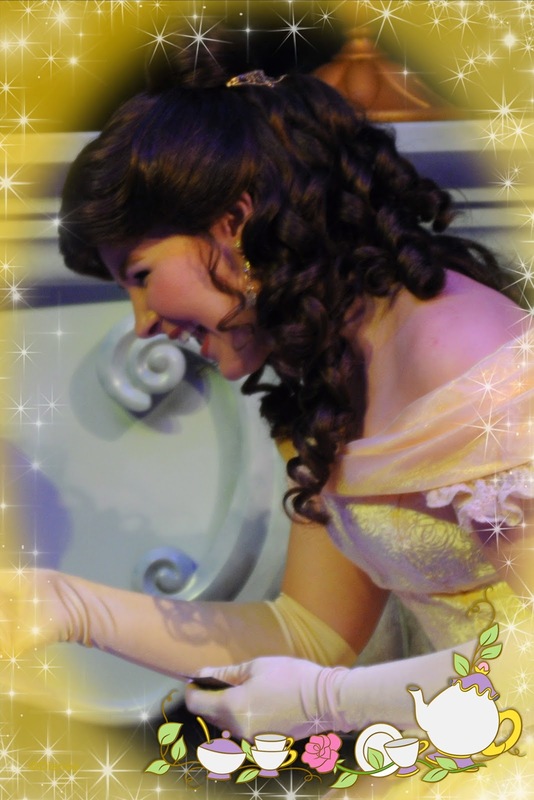 Belle never attends lunch or dinner at Be Our Guest so this really is your best opportunity to meet the beautiful Belle. I have read some reviews that said only the guests chosen to be in the play were allowed to interact with Belle. This was not our experience. Belle had anyone who wanted to meet her line up to come up for a photo and she graciously spent time talking to everyone. I am not sure if this changes based on wait times but I can tell you it was a true treat! "Will you be an enchanted object, or perhaps fill the role of the Beast with a heart of gold?" That sounds so exciting! To get to play Beast, wow! He was thrilled! We still tease him that he's going to marry Belle. This was our favorite place to visit in Disney World too. Are you going here again on your next trip? I can't wait for us to do this when we go in August! My kids will love this! I am so glad you will get to experience Enchanted Tales for yourself. This attraction is on my list but I have not had a chance to try it out yet! It would be the perfect thing to do before a meal at Be Out Guest. This is one of our favorites! We got to interact and take pictures with her afterwards too. I always used to go to this when my daughter was younger as Belle is her favorite. I can never quite work out why Belle does not appear at Be My Guest, but I guess it is popular enough already! I love going through here too! Enchanted Tales with Belle was cute. i really think that it is a completely different experience when someone in your family is chosen, though. That brings the bigger smiles.